Katie Stewart Page ’08 was recently elected president of the Virginia affiliate of the American College of Nurse-Midwives. With this new position, Page will assume a visible leadership role and represent Virginia’s nurse-midwives on state boards and at legislative events. She is currently a certified nurse-midwife (CNM) for the Centra Medical Group Women’s Center in Lynchburg. 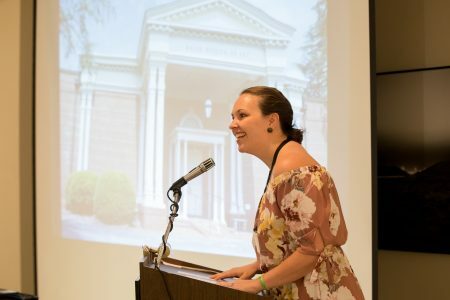 She also serves as chair of the nominating committee for the Randolph-Macon Woman’s College Alumnae and Randolph College Alumni Association. The mission of the American College of Nurse-Midwives is to support midwives and advance the practice of midwifery in order to educate, empower, and achieve optimal health for women through their lifespan.